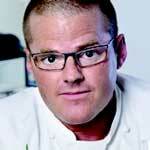 Heston Blumenthal has received £200,000 compensation following a food-poisoning outbreak at his three-Michelin-starred Fat Duck restaurant. Blumenthal closed the iconic restaurant in Bray, Berkshire, for two weeks in February and March last year after more than 500 diners were struck down by norovirus, or winter vomiting bug. Insurers made the payout as compensation for lost business over the period while environmental health officials investigated. The Health Protection Agency (HPA) released a report on its investigation into the outbreak earlier this month stating the official cause was contaminated shellfish.